Trees Atlanta is a nationally recognized non-profit citizens' group that protects and improves Atlanta’s urban forest by planting, conserving, and educating. 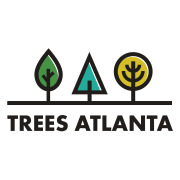 Trees Atlanta plants over 3,000 trees per year and maintains thousands more that give us shade, oxygen, wildlife habitat, and so much more. We restore greenspaces to their native plant communities, bring children out into their urban forest to learn, and host fun programs for adults. All of this is done with volunteers like you! Would you recommend Trees Atlanta?